Your average nerd, part time Minnesotan and full time world explorer. 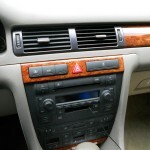 I’m moving my blog from Network Solutions to my company’s server (www.sidekicktech.net) . I’m mainly a .NET programmer but with so many people asking me to host their WordPress sites I decided to take the plunge and learn what it takes to move one. What I found was there are many different ways to accomplish this. I’m going to go over the quickest and most non-technical way I found. There are still some manual things I need to do but overall the process I am using has worked well and is perfect for someone who is not very technical. I realize not everyone’s setup will be the same but it should help you understand the process. I might do a blog on the more technical way which involves installing PHP Manger on your local IIS7 setup and then connecting the your MySQL database remotely, but for this article I decided to explain the non-technical route. First my setup. My Network Solutions setup is on a UNIX Hosting package. My Sidekick Technologies server is Windows. Windows uses IIS 7 and web.config files instead of UNIX and .htaccess files. If you are using shared hosting or any kind of hosting package you probably don’t need to know that for moving your site. The process in this article will work from UNIX to UNIX or UNIX to Windows. As always feel free to comment if you have a different way. This is just one of them and will hopefully help some people out. I think this is an easy version since you don’t have to export the database file which is sometimes a little scary for non-technical people. Step one: Upgrade WordPress to the current version. This is the step that makes the process so easier, and if you can’t or wont do this the article may not help you. 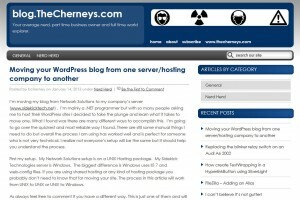 WordPress 3.5 is the current version as I write this post. So on Network Solutions I updated to 3.5. On my server I installed WordPress and did the same thing. I now have two installs of WordPress 3.5. One with all of my content and one new install. Note: When you install your new WordPress site make sure you create the same directory structure as your old one. 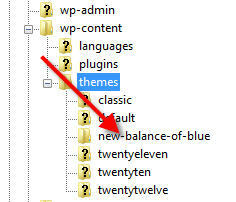 So I need to install the new WordPress site into a folder called “blog” on my root directory. ( http://blog.thecherneys.com/blog/2013/01/14/moving-your-si…any-to-another/ ) This will make the SEO transition seamless as your URL’s will not change. Step two: Move your theme over to the new site. Since both sites are 3.5 we are not going to worry about compatibility. For the themes and the plugins I did an update to all of them on the original Network Solutions package. So for themes we are just going to move our themes folder from Network Solutions to Sidekick Tech’s server. Once you have done that you should be able to change your theme on the new server. Step Three: Move your plugin folder over to the new server. Same concept as moving your theme. You will need to install the plugins on the new site by going to the plugins in your dashboard of your new site. If you have any plugins like Akismet make sure you write down your API key. 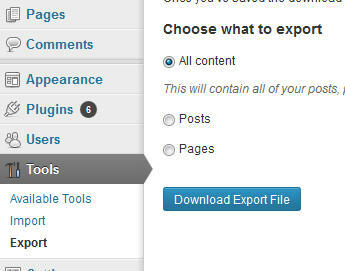 Step Four: Do a WordPress export from the original (Left Image). This will create an XML file that you can save locally. 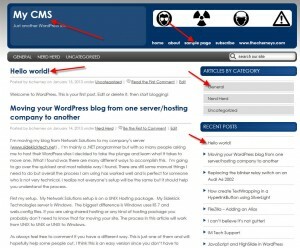 Then you will need to do a WordPress import on the new server (Right Image). You will need to install the WordPress importer but you can do that from the dashboard –> tools by just clicking on “WordPress”. This will install the WordPress installer plugin. Step Five: Clean up the site. This is the section I’m hoping to get comments from people who know WordPress better than me. I needed to go in a tweak a few things like the menu structure and permalinks structure to match my old site. Only took about 5 minutes. What I’m not sure on is since I started with a new database do I have to do those things manually on the new site or is that information in the core files that I can copy over? So this is a very non technical way of moving your site. Some might ask why I didn’t just move the whole file structure over from the old WordPress folder to the new. I’m planning on testing that but since I was moving from UNIX to Windows I wanted to get a process that worked first. Then I’ll try different approaches. Again, this may not be the best way for large complex sites since we are not exporting the original database (Using the WordPress xml export instead) and we are only using the theme folder and plugin folders. You will need to tweak the new site a little but for how easy it was I’m OK with that. The amount of time it took me (Once I had the procedure down) was about an hour. Good Luck. 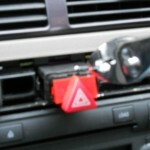 Next you replace the blinker relay switch. 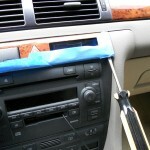 You will see in the back where to depress and pull the unit out. Slide the new unit back in. It has grooves so there is only one way to slide it in (The right way). 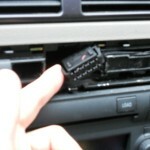 Then push the entire unit back into the slot and it will snap back into place. Put the face place back on. This was actually a little tricky. I ended up pushing it back on starting with the left side but giving it pressure right to left so it was snug in the corner. After a couple tries I got it into place. Hope that helps. This took about 20 minutes. Would probably take about 10 the second time around. Good luck. When using the HyperlinkButton in Silverlight you may come across a scenario where you need the content to wrap. Unfortunately the HyperlinkButton control does not allow you to set the TextWrapping =”Wrap”. Here is a quick way I found to allow for this type of functionality. If you have another way of doing this please let me know. Good luck. If you are going to use FileZilla for more than a personal ftp server… chances are you are going to use aliases. I’m OK giving web designers general access to our web servers but AE’s and Marketing guys/gals are a different story. If they need to FTP a presentation or report I want them to log in – pick the clients folder – upload the file – get out. I’m fairly new to FileZilla so it took me a couple tries to understand how to setup an alias. There are two different approaches. You can use “short aliases” or “long aliases”. Both worked for me so I’m not sure if one is considered better than the other. If you have an opinion let me know. I am leaning toward short aliases in case you move the users home folder in the future. Here is an overview. You can only have one “Home” folder per ftp user you setup. 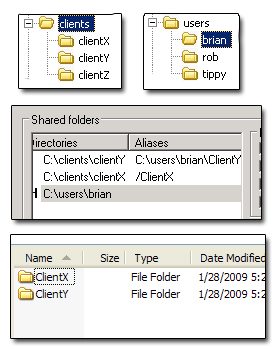 For this example the users home folder on the server is “C:\users\brian”. Every time brian logs into the ftp server he will start in his home directory. The user can not move back in the directory structure so if they need access to a clients folder on the sever we have to create an alias to that folder. Once you create an alias the next time brian logs in there will be a client folder he can click on. So lets set it up. Brian needs access to “C:\clients\clientX” folder and “C:\clients\clientY” folder. We will set up each one differently but the end result will be the same. Get to the shared folders section for your user in the FileZilla Server console. You should have one directory listed with an “H” next to it. That is the current users home directory like we mentioned before “C:\users\brian”. Add a new shared folder. For this example we will browse and select “C:\clients\clientX”. OK. You have added the client folder but at this point the user will not see it in their home directory when they log in. This is where the alias comes in. “Short Alias” = right click the new folder you just added. Choose “Edit aliases”. Don’t bother reading the instructions. They make sense once you do it a couple times but for a new user I can see how it is a little confusing. Type in “/ClientX”. 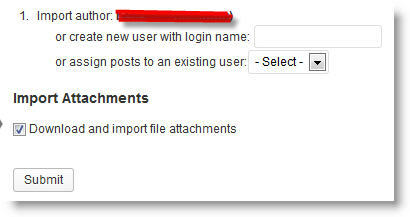 This will create an alias to the user “Home” folder when they sign in. By clicking on it they can access the ClientX on the server. “Long Alias” = Follow the instructions above except browse to the “ClientY” folder. Once you are ready to enter the alias type the full home directory and the folder you want as an alias. “C:\users\brian\ClientY”. This will do the exact same thing as above. The user will now see two folders when they sign in…. ClientX and ClientY. Some PhotoShop fun for a friend in MN. Work party! Final version. Recreated from scratch and 300 dpi so she could print onto T-shirts. IM Tech Support – Most people who work with me know that I mean no harm. I just don’t have time to be nice…. bc_soft_dev: have you logged on remote before? Nick: hey brian can you send me my computer id again, just in case I can’t get in until later in the am tomorrow? bc_soft_dev: you bet. you can also change your settings on IM so that you can view past conversations. Good for stuff like this and blackmailing people. Nick: do you have seth’s cell number? bc_soft_dev: It’s complicated. You go to the intranet and on the left side it says M2i Documents. Choose that one instead of the other ones that don’t remotely come close to saying M2i Documents. bc_soft_dev: Do you know how to get to the intranet? 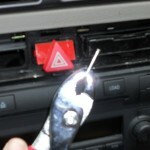 Car: can i ask a favor or will i get zapped? djd: hey, what is my password for google account old one (ddexxx) doesn’t work and the one i left you last week djdxxxx is no good ? djd: yeah, chalk one up for Cherney Jesus! 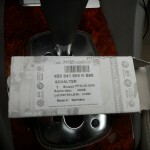 bc_soft_dev: Thank you baby cherney! djd: hey, can you set up the subdomain for Txxxxx when you get a chance? bc_soft_dev: working on it. Back off mo fo! djd: new ftp login and pass for xxxxxx.net? bc_soft_dev: check your mail maggot! bc_soft_dev: I just like to yell maggot! Heather: thanks…can you add him? Heather: you’re the best! I don’t care what Michael says…..
Heather: There conf. room is needed at 11am…we could call in there or your office? Heather Morrison: are you still angry? bc_soft_dev: I wake up frustrated. I am actually rarely angry. Heather Morrison: correction…are you still frustrated? write: i love how you narrow your resolution to “comments” and you still fail. write: you could have shot big with Be more thoughtful. write: anyway – do something about the music won’t you? Try opening several images and moving them around on the screen. Just hold the left mouse button. We have used this in meetings to show the different paths users can take to get to the clients product. Moving images in/out and rearanging directly on the screen. Sounds simple but if done correctly can be a great visual tool. My golf page (Ugly but it works) allows you to view the scorecards by clicking on the thumbnails. On the top I pull in a saved Google map in the HighSlide. This comes in handy on any site that would like to show it’s location without the user leaving the page or forcing them to see the large Google map on the current page using an embed. If you are going to give examples of code on your blog then manually converting your code to HTML special characters will get a little annoying. Here is a plug in that will allow you to easily tag what is to be executed as code and what should be displayed without execution. Here is a quick example of how to bold in html. Quick and easy. Here is the info. 2) just put the tags <code></code> around your code examples. All set. 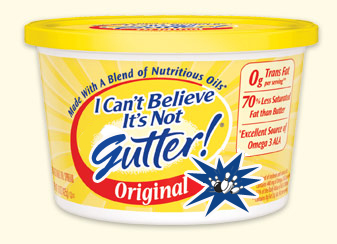 As always let me know if you have a different product that may work better or comments about this one. We have a client that is using a third party partner site to gather/show information. Unfortunately the only option is to use Iframes like they are currently doing which kills the clients SEO. Since WordPress removes iframe tags when posted you need to install a plug in to allow for Iframes. Here are the steps we took to allow Iframes. 1) Install “Embed Iframe” built by Deskera.